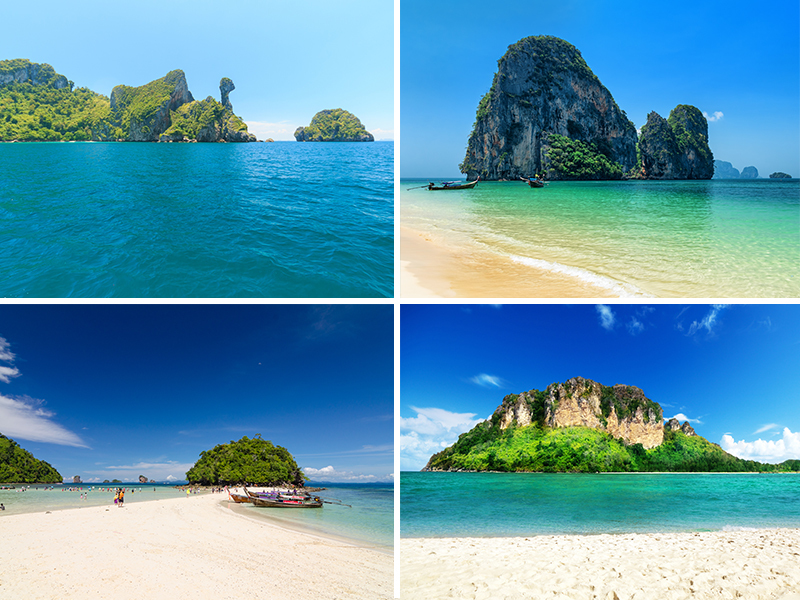 Discover the enchanting and idyllic isles of Thailand on the Four Islands by Speedboat tour from Krabi. 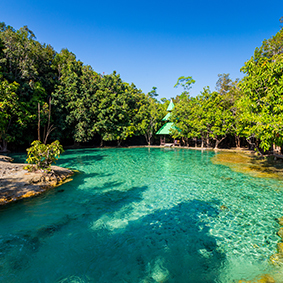 You’ll spend your morning and afternoon island hopping on some of Thailand’s glorious gems with pristine beaches and intriguing marine life. The Four Islands by Speedboat tour begins with a speedboat ride to Phra Nang Cave, this picturesque island is framed by majestic green cliffs, with beautiful bays and caves. Phra Nang is the perfect place to grab your snorkeling gear and head for the ocean, where you’ll feast your eyes upon some wonderful marine life that circle the clear waters. Next stop is Tup Island, which is renowned for its snorkeling potential. Dependent on the tide, you can walk along the white coastline to the neighbouring Chicken Island, names after its shape. The limestone rocks peek out to sea and the island surrounds vibrant corals, which make Chicken Island another great island to snorkel. 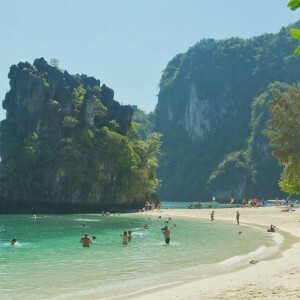 Enjoy a spot of lunch in a picnic spot on the beach before heading off to Poda Island. This picturesque island has been used numerous of times on holiday brochures and guides for its striking look. Poda Island presents majestic rocky cliffs, a beautiful white sandy beach and a bamboo plantation that’s worth taking a look at. The Four Islands by Speedboat departs all year round from 9 am and lasts approximately 5 hours. Bring along your swimming costumes and sun protective gear as well as water.